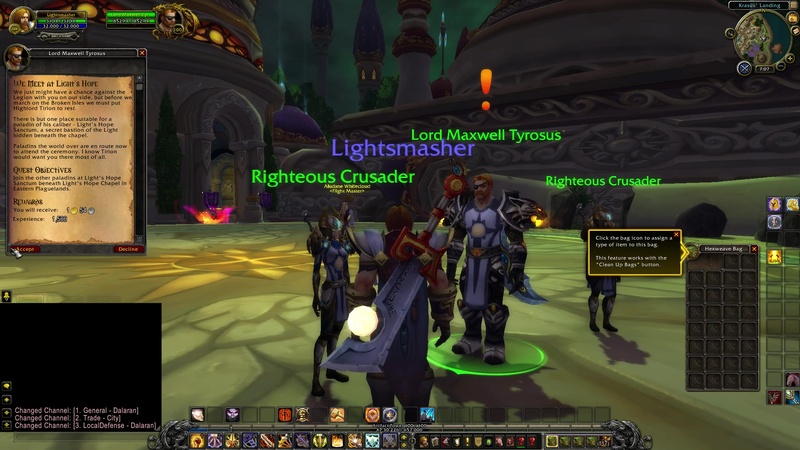 Lord Maxwell Tyrosus: We just might have a chance against the Legion with you on our side, but before we march on the Broken Isles we must put Highlord Tirion to rest. There is but one place suitable for a paladin of his caliber – Light’s Hope Sanctum, a secret bastion of the Light hidden beneath the chapel. Paladins the world over are en route now to attend the ceremony. I know Tirion would want you there most of all. Join the other paladins at Light’s Hope Sanctum beneath Light’s Hope Chapel in Eastern Plaguelands. The others should be waiting for you in the sanctum beneath Light’s Hope Chapel, (name). You should make haste. NOTE: Ride to the center of Dalaran to the portal located at Aegwynn’s Tower. Beneath Dalaran, take the portal to Dalaran Crater. Then fly your way to Light’s Hope in Eastern Plaguelands. TIP: When you enter the Light’s Hope Chapel, hover your mouse cursor over the floor. The cursor will transform into an interactive hand. Click the ground. The secret doorway into the underground catacombs will open. Head downstairs, and drool. It’s an awesome dream come true for us paladins to make our Order Hall the most venerated place of all fallen Champions of the Light. 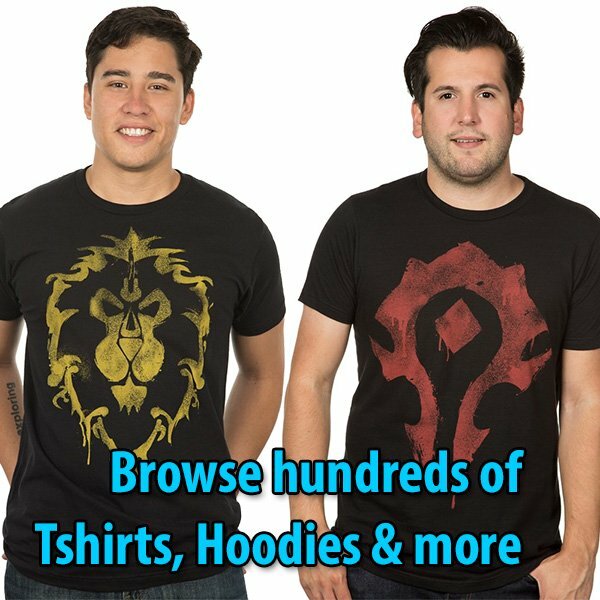 Thank you, Blizzard! 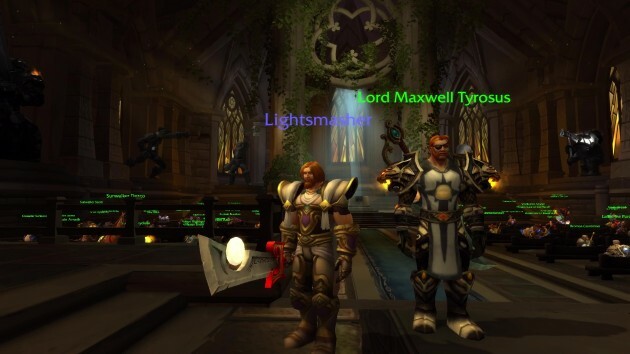 NOTE: Among the paladins present to the Tirion Fordring’s burial is Arathor the Redeemed (Turalyon and Alleria’s son) and Jorad Mace (from the pages of WarCraft: The Sunwell Trilogy by Richard A. Knaak). Lord Maxwell Tyrosus: I’m glad you could make it.